Happy Friday, blogland! Today is MOPS day, so this morning I will be busy busy setting up tables and welcoming mama's to our fun and supportive group. I love being a part of hospitality and being able to make this group possible for so many moms. I have quite a few good favorites today, so let's jump in, shall we? 5.) Fridays are usually grocery days around here. 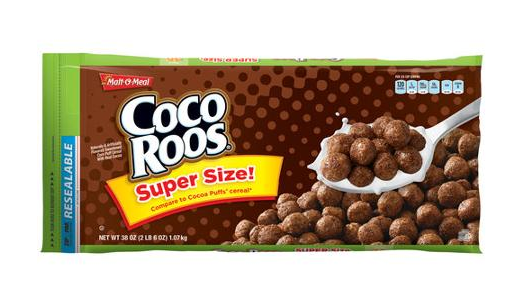 Baby #2 has been begging for Cocoa Puffs, so you can bet your bottom dollar I'll be buying the big ole "dog food" bag of them as soon as possible. So far it's been the same with this pregnancy as with Lucy...not too many real "cravings" so much as just being hungry. But every now and then I'll crave a specific food. With Lucy it was sour gummy worms and bacon egg and cheese biscuits. This baby has been french fries and now cocoa puffs. A sweet and a salty both times so no telling gender over here! 4.) Lucy Jane's Halloween costume came in this week! 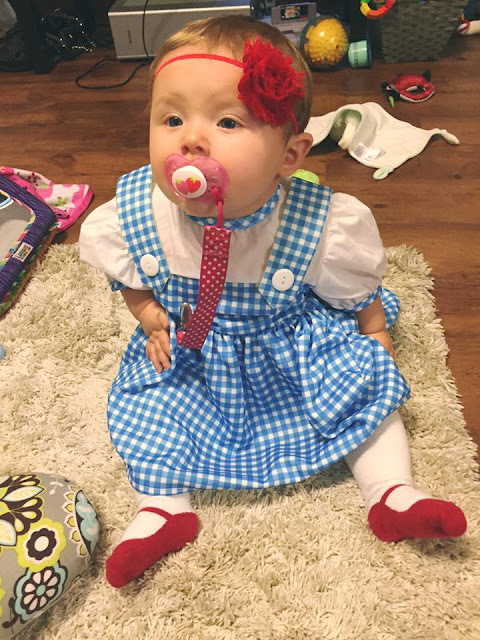 She is going to be Dorothy from Wizard of Oz and I'm going along as Glenda the Good Witch ;) We'll see if Preston dresses up or not. Any recommendations on where to buy a very small basket and stuffed dog for gathering candy? 3.) It was a very happy mail week in the Klee household! On Wednesday I was surprised by finding a new camera on my doorstep!!! My sweet sweet hubby surprised me with a brand spankin' new Canon Rebel T5. I'm loving getting to know it, but I'm a total beginner so any tips ya'll have are so welcome! 2.) Last week, Dani from 6 Sassy Sistas contacted me and sent me some samples of her homemade, all-natural moisturizing serum. It's a multi-use product that can be used for eczema, hair conditioner, diaper rash, hand moisturizer and more! I'm loving the scents I received and will have a full review up on the blog next week. They are super moisturizing and affordable, so a total win in my book! 1.) This week was a busy blog week, too! 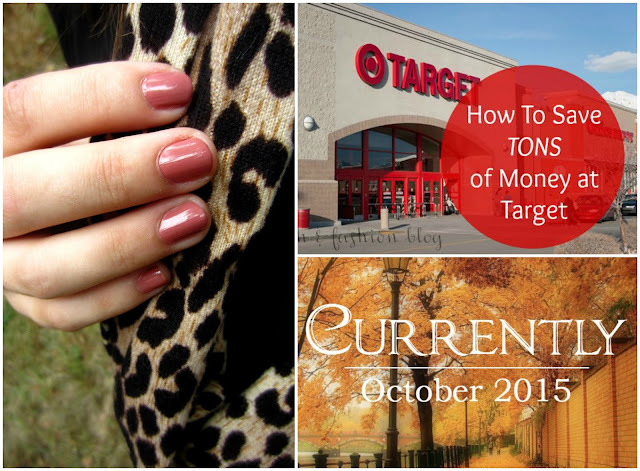 I shared some key tips for saving the most money at Target, my favorite fall scarf in an OOTD post, a VoxBox review, and a Currently post for October. Follow the links to catch up on what you missed! What are everyone's weekend plans? Preston and I are hitting up the St. Louis Vintage Market Days tomorrow and then spending Sunday relaxing at home after church. TGIF!